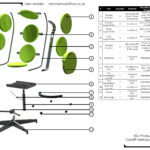 The third project of the practising product designer module was a live project with a furniture company called orange box. The project began with a talk from one of Orange box’s lead designers presenting his company to us, explaining what their company was and what they stand for. We were then treated to a factory visit field trip, where we saw the manufacturing side of the company in the South Wales valleys. The field trip was an excellent insight into the manufacturing processes involved with making furniture products and I feel that it has definitely improved my design work, especially designs related to design for manufacture. 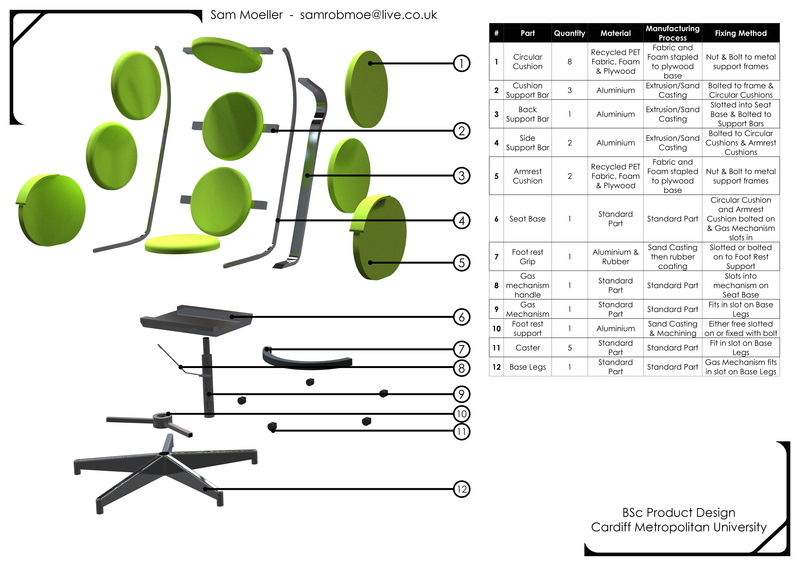 Our project brief was then set out that we should isolate a specific area of seating within a modern office space, which we would create a furniture product to solve an existing problem. We began small scale research for the project in groups, where we decided to general area we would create solutions for. My group’s area was that of sitting at a desk for a design studio. I began solo research by investigating the desk heights in design studios where I found that the desks had a tendency to be taller in design studios. I then looked at the current market for chairs that catered to this height and found that most if not all of them had a low comfort level. 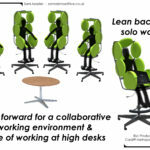 This lead me to identify comfort as a potential problem when using higher than average desks. 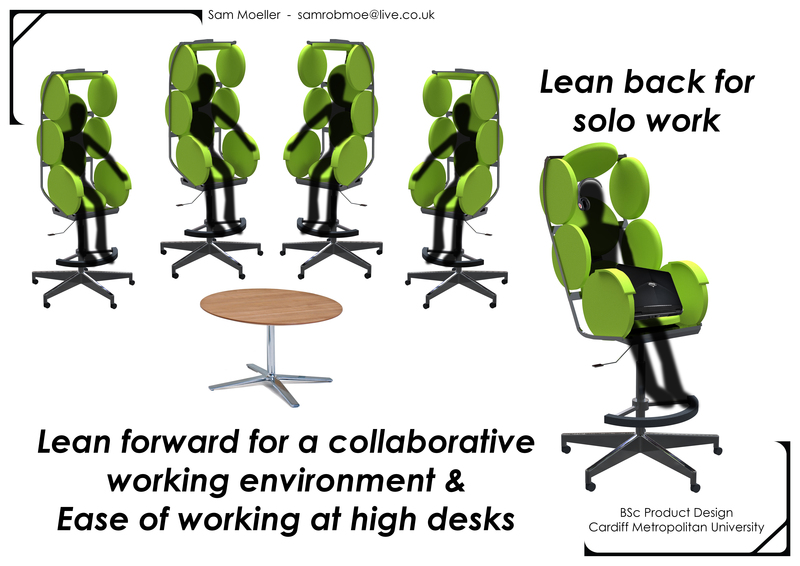 My solution was to create a desk chair with an extended height so that it could accommodate the taller desks, as well as a feature that allowed it to lean forward for collaborative work and backward for solo work. Although I was fairly happy with the design I had created and the adaptations that I made from feedback during tutorials, I still felt that the design didn’t quite fit into the workspace it was intended for and I began to wonder if my potential problem existed as commonly as I first thought. During our final presentation with the designer from Orange Box, I found that my fears were in fact correct, when the design was completely dismissed by orange box. Despite my arguments for the seat’s potential, the designer decided he didn’t understand the product and moved on abruptly to the next person’s design. Overall this project has made me reconsider whether I would in fact like to work more in furniture design. I have also strengthened my design for manufacture skills once again.